On behalf of the Atlantic Coast Veterinary Conference, I would like to personally thank you for your interest in our event. 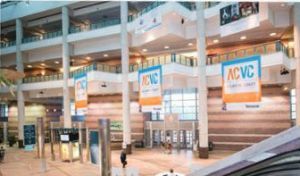 For the past 30 years, ACVC has taken pride in offering the best exhibition and continuing education opportunities for veterinary professionals. Here you will find information on becoming a sponsor or an exhibitor at this year’s conference. To secure a sponsorship or booth space in our exhibit hall, please contact info@acvc.org. Additionally, you can check out our floor plan and contact us to reserve booth space as well. We value your partnership and look forward to hosting you from October 14 to 17, 2019, at the Atlantic City Convention Center in Atlantic City, New Jersey. For 30 years, ACVC has been the best opportunity to reach industry-leading experts in the veterinary profession. 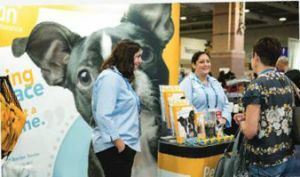 In 2018, the conference included over 1,500 veterinarians, technicians, hospital managers and office staff from all over the country. For sponsorship details, a 2019 prospectus or an exhibit space contract, click the buttons below.